Over 20,000 characters and 36,000 years distilled by clever algorithms. You may have a good feel for the scope of the Star Wars universe, but Swiss researchers just took things to another level. 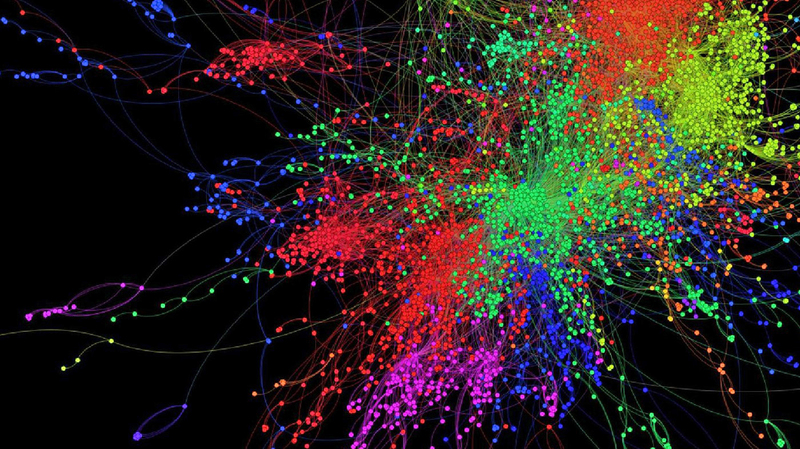 They've created maps of the space fantasy series' expanded universe that visualize the connections between 20,000 characters, spanning a period of 36,000 years. The results are surprisingly pretty (you're only seeing a fraction of it above) and help fill in gaps for characters that aren't fully fleshed out, such as where they sit in the timeline. They also turn up facts that might not be readily apparent, even if you're well-versed on the likes of the Old Republic or Grand Admiral Thrawn. For example, just shy of 80 percent of characters are human -- clearly, writers aren't going out of their way to include more Sullustans and Wookiees in their stories. Before you ask: no, this isn't just a clever side project. The algorithms mapping Star Wars can also be used with other large data sets, illustrating links and answering lingering questions. In other words, the same code tracing the influence of the Skywalker family could one day help a company serve you better, or help scientists discover things that are hiding in plain sight.